HOW TO HOST SUCCESSFUL FOOTBALL WATCH PARTIES! There are 5 key ingredients to any successful football watch party – Food. Drinks. Seating. TV. Decorations. If you are planning on throwing a watch party for any big sporting event, it is easy to make it a success, as long as you cover the basics. Everyone who has ever hosted a party can tell you, the most important things is the food you provide. Lucky for you, Palio’s pizza pairs perfectly with football games. So, the next time you are having a group of people over to watch the game, make sure you have plenty of Palio’s on hand to feed them all. We’d also recommend having some snacks: chips, pretzels, and candy on hand too! While they are not needed for every watch party, your bigger ones could use with a little sports-themed decorations. Try including colors and stuff from both teams, especially if those coming to the party may be rooting for opposing teams. It is always fun to play up the rivalries. If those invited are all coming because you are watching your local sports team, it is okay to go all out with your show of support for them. 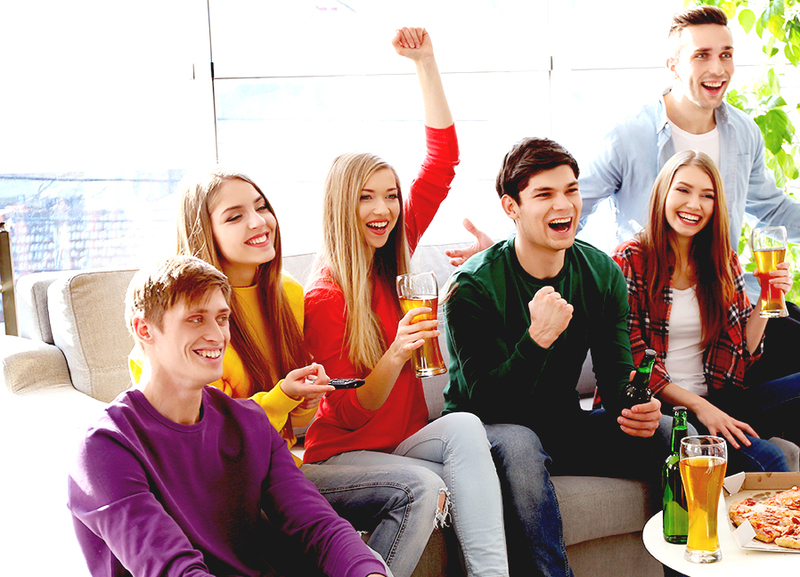 While there are no real rules for hosting a football watch party, these 5 things are pretty essential to everyone in attendance having fun. Most importantly, these are all easy things to throw together. You can stick to the basics of each of these 5 things and have a great time or you can also go all out on providing these 5 things and really elevate your party. Keep in mind who your guests are and what they’ll expect and you should have an overall amazing time! Call your local Palio’s or visit our online ordering to make sure you have plenty of pizza and wings for the next game!